Jeh's 240 Start to current. So here’s what I started with. It’s a one owner 86 240 GL. 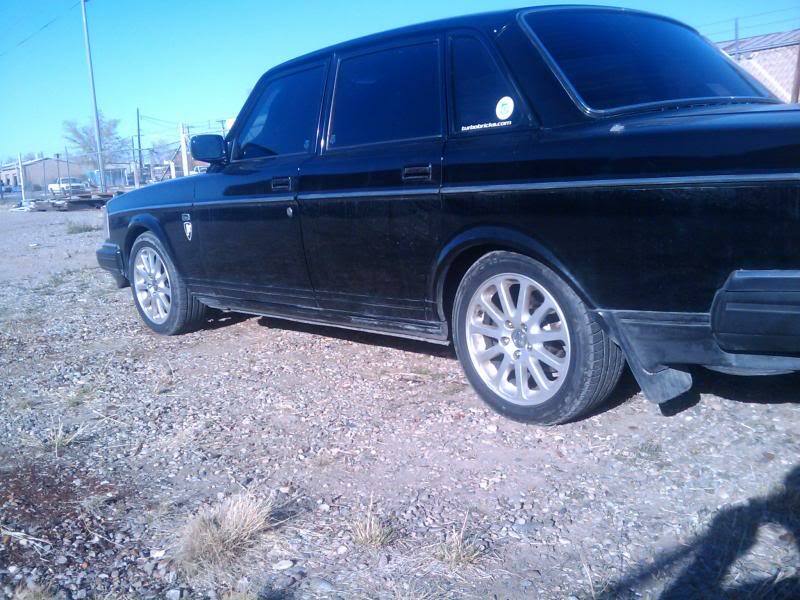 Fully loaded, power everything, sunroof, auto, working a/c, 14’ Coronas, Black leather and only 83K on the clock. Driven by a little old lady who bought it new in Albuquerque and kept it in her garage. Sweetness. I started piecing the Plus-T parts together over the course of a year, doing what I could at my lunch breaks and then having the rest of the kit installed in 1 day. Thanks to Jim (jimjawz). 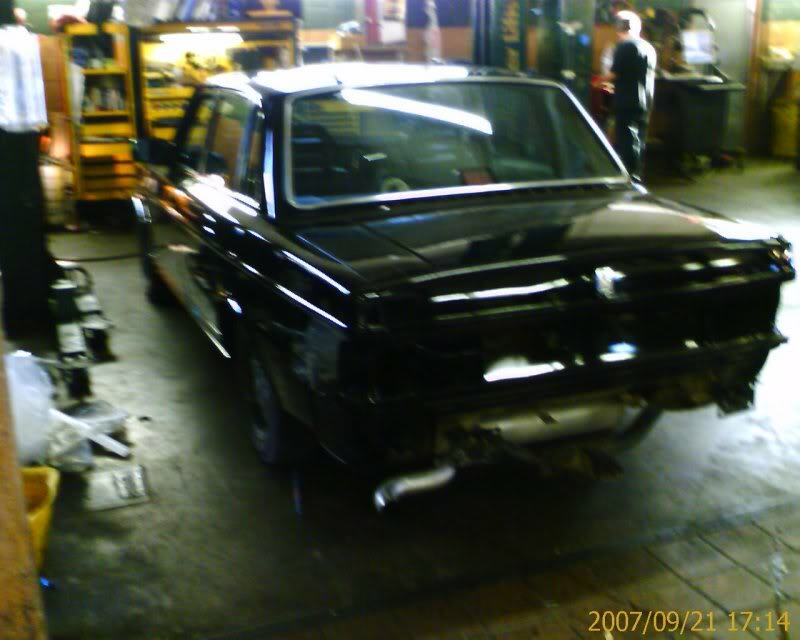 Essentially it was everything from a 87 740 with a Mitsu 13b. We called it the starter turbo and it was on 3 different plus t cars. 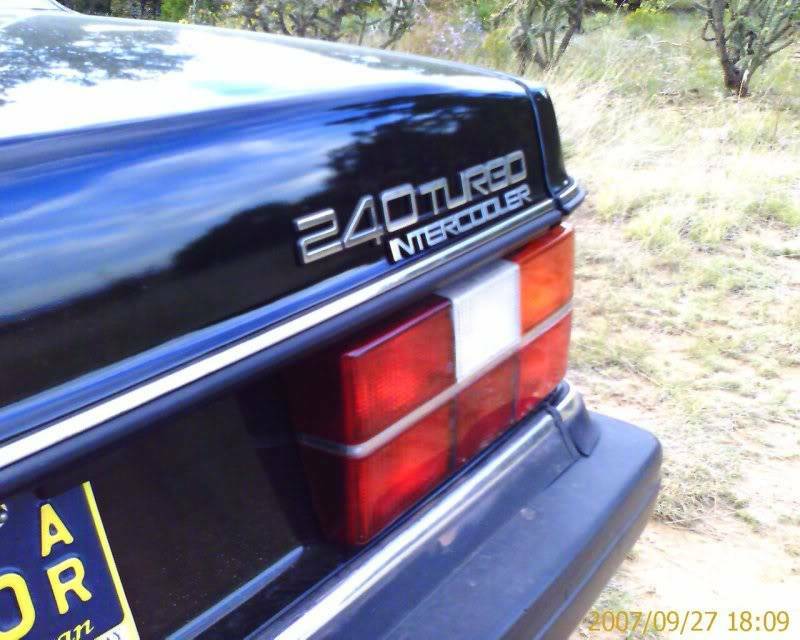 This was actually my 1st avatar I pieced together a 740 turbo and 240 emblem. The cars body was in pretty good shape minus a small dent or two but being silver gray iin the southwest it didn’t rust the paint just fell off. I stripped everything I could off the car except the glass and handles and had it Schiebed . I had them do the hood, trunk and door jams as well as fix a couple of dents. Sorry for the crappy cell pics its all I had at the time. This was my after painting sig on Tbricks for a while. I finally got the side markers wired correctly so they are on with the park lights and blink with the turn signals. It was time for a new (to me) Turbo I picked up a 13c with a 90 plus manifold from another Tbricker. Ian (Murderface). I also tossed in a T cam. It was time for some new tint as 20+ years had taken its toll on the original tint so I went with 15% all around. I had a custom Euro plate made to match my normal registration tag and mounted it in the stock position. Seems either you like it or you don’t. I have a second plate coming to mount up front. 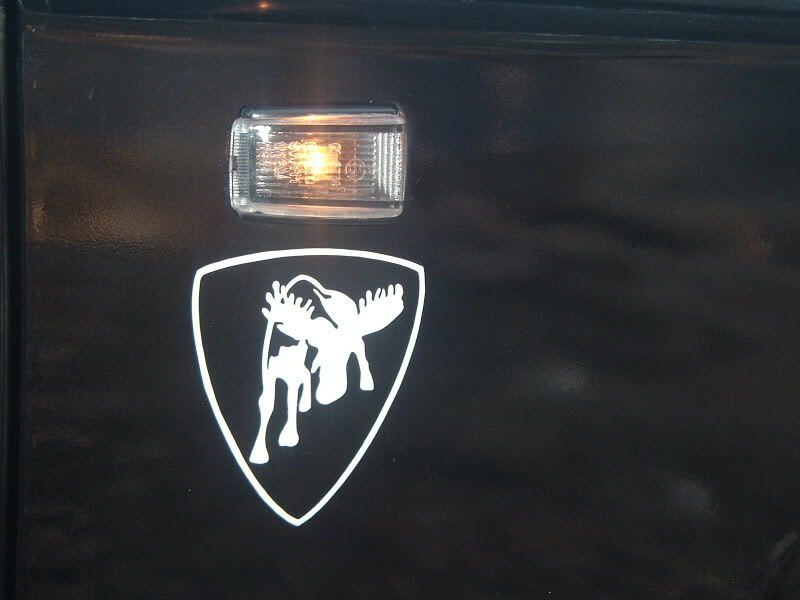 The regular plate is lit with the vehicle lighting. Its been there for over 2 years without issues from the Police. I also have the class 3 Volvo hitch. Do I pull anything? Nope, but I left it there because nothing says slow like a trailer hitch. 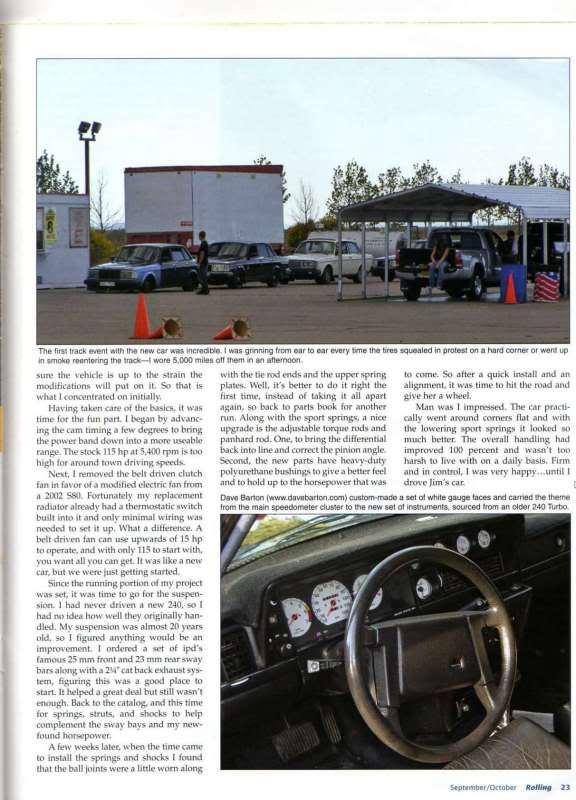 I wrote an article for Rolling Magazine depicting our then friendly challenge between myself and Jim (jimjawz) titled " A tale of two turbos part 1" and they published it a while back I will try and scan it and post it. This is a Glowshift AFR gauge and it was the closest thing I could find to match. I can swap it out with an ambient temp gauge as well. The next improvement was the Freds chip followed by the addition of EZK 117 I would love to find a chippable 117 but so far no dice. 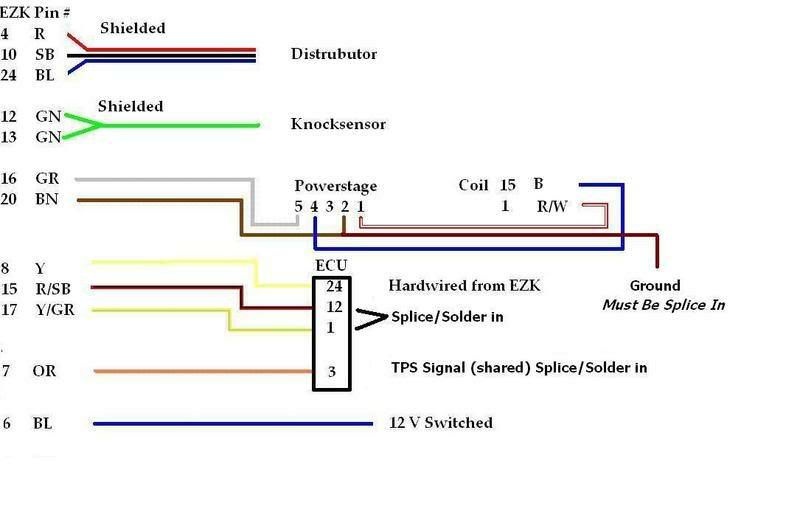 I included an EZK schematic for anyone else who would like to do this swap. The hardest part is figuring out where the wires go. I had the control arms boxed and replaced all the supension bushings with Poly, what a difference. and I had then welded,painted and then popped in the poly bushings. I need to order a rear set now. New Turbo Time. The 13c was good to about 11-12psi and I happened across an almost brand new Cherry Turbo’s 18t. I E-mailed Cherry about it and for specs and was told it was set up to run 17-18psi. Which is just above what the 9mm rods should handle. It seemed perfect and it runs awesome. According to Fred This setup should be good for 225 HP+. I do know it will destroy an AW70 in short order. I installed a fuel pump from an S80 T-6 in the tank and bypassed the undercar main pump. It was good for 300+hp so I am sure its good enough for me. Sorry no pics. 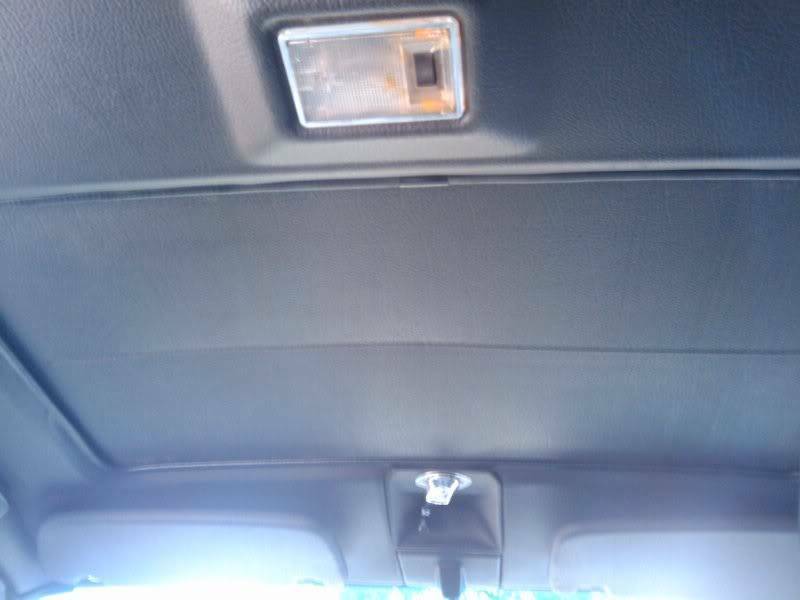 Scored a Black sunroof headliner for free with all the matching clips, handles ect. With the dark tint its like driving around from inside of a cave Thanks to my employer Dave Lang at Independent Volvo, Albuquerque. The Shops private bone yard. Its currently almost full. 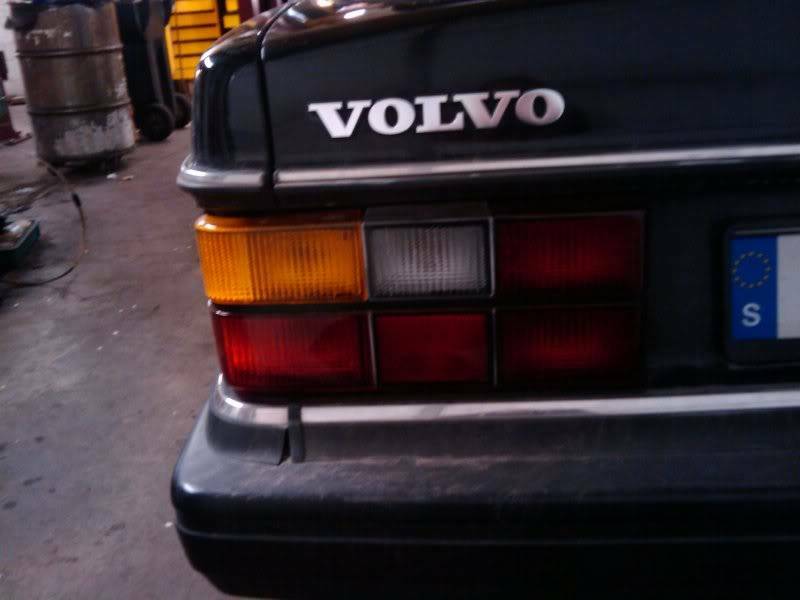 The container has old Volvo goodness in it. The extra switch is a fan override that puts the E-fan on 100% all the time. It works very nice. 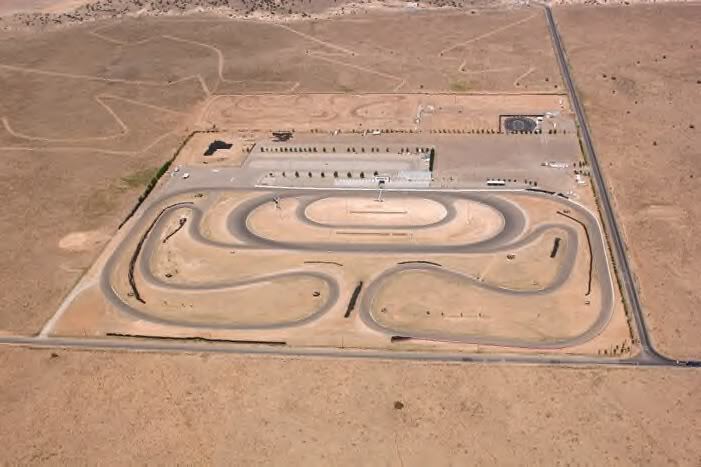 On my last track day after 15 solid minutes of hard running he temps never hit ½. Also thanks again to Dave Barton for the adjustable voltage regulator. But I am going to look in to adapting a 100 amp alt that I found. I put a Kenwood head unit in the lower cubby when I installed the gauge setup. It as the USB input on the front. I finally got sick and tired of my lights. 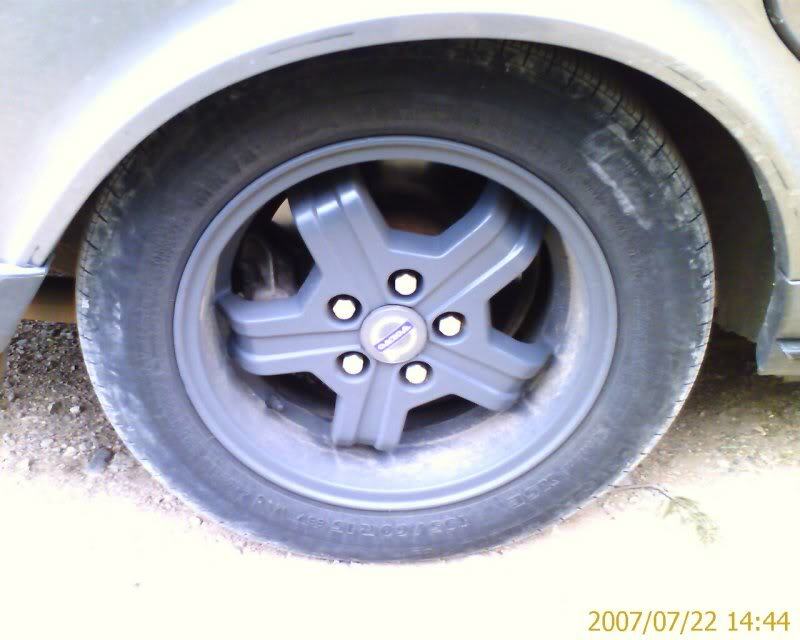 The fronts were yellowed an loose and the rears were faded and cracked. So instead of polishing its time for some new ones. The fronts I just picked from Ebay (made in Estonia) for $112 shipped. I thought about just replaceing the lenses but the lenses were $65 so I said hell with it and splurged. Besides this is soooo much easier and you get new chrome. Look at the difference. The S/W sun just beats the plastic. I will get some better pics after I clean the car. It just snowed,thawed,melted and its now freezing. I Just put on the E-codes from FCP. The plastic is a little cheesy but the light look and work awesome. I also managed to get the side markers turned around that Grandmasideways noted and I think it looks better. The Euro plates match front and rear and are my actual registration numbers. Its not how its done in Sweden but I liked it. Just back from the wash and right before track day. It will stay clean for about 15 minutes. 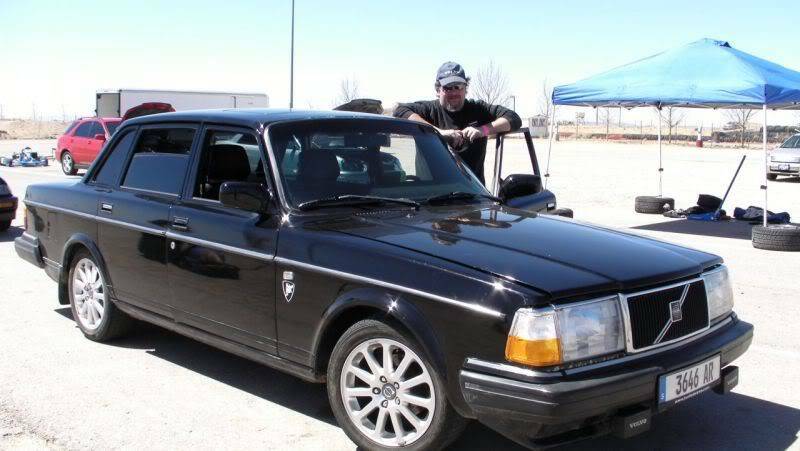 At the Track I was the only Volvo to show. Racing Southwest Drift Cross April 10th from Racing Southwest on Vimeo. Here is one of my timed runs. Here is a group run. I was not the slowest car there, it just appears that way. I was the second slowest. I was soooooo out of my league here in terms of track cars. Well thats where I stand so far., but as we all know its never done. 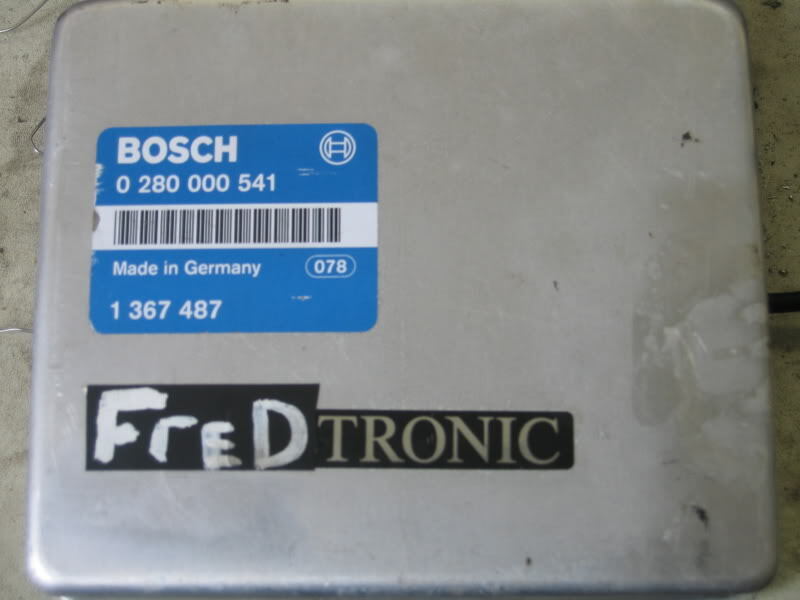 I've pulled my freds chip ecu (Hi-Tuning) as I am trying to track down an odd stumble. Since I would rather not live with that day to day until I can figure it out its sitting in the toolbox. I added an LC1 and Innovate Gauge to replace the Glowshift unit I fried (long stupid story). I am going to replace the Engine harness since its starting to come apart. I picked up one of the last New in the bag LH2.2 Harness's in the country. but that will probably wait until fall. I just scored a set of Arrakis wheels from a recently acquired S80 in our parts yard. Also it will be time for a repaint again. The Schieb job is still under warranty so I am going to make them do it again. Lastly I want to upgrade to Bilstiens all the way around,but we will see. Sir, I now know you in a whole different way. Great job on the car, you have turned it into a treasure; in ways both large and small, the differences are amazing. Thanks for the write-up, and for doing it up, right. I figure most of the current members are more than knowledgeable about anything I did but I will add some article links to expand the information base to future members. Thanks for putting this up. Good read! 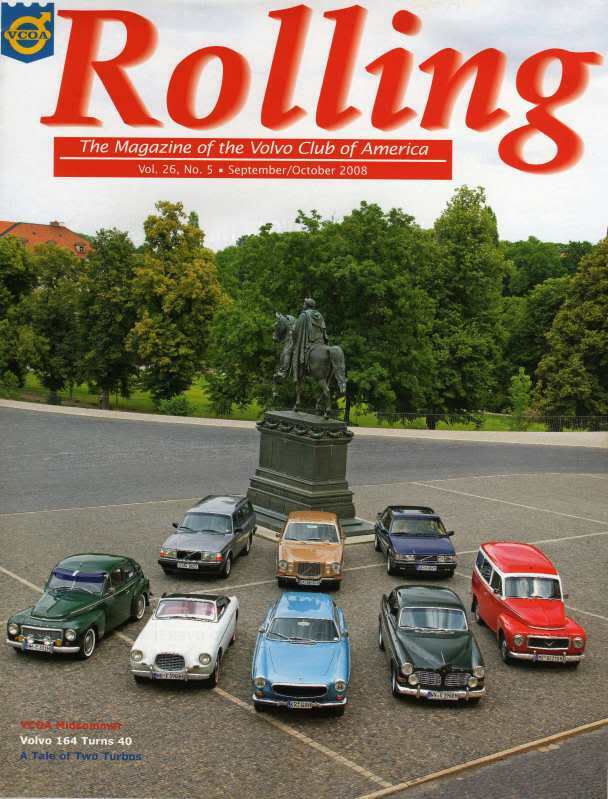 I wrote 2 articles for Rolling magazine that were both published depicting my build. It was supposed to be a 3 part article with the third part describing a friends build and ending with a head to head race at the track. That never came about. Since this is my thread here are my articles, I hope you like them. Here are scans from the Magazine the article follows. Remember Phil Singher’s article a while back about project creep? You plan and start a project with set goals in mind…. and slowly they get modified over and over and over. Welcome to my world. 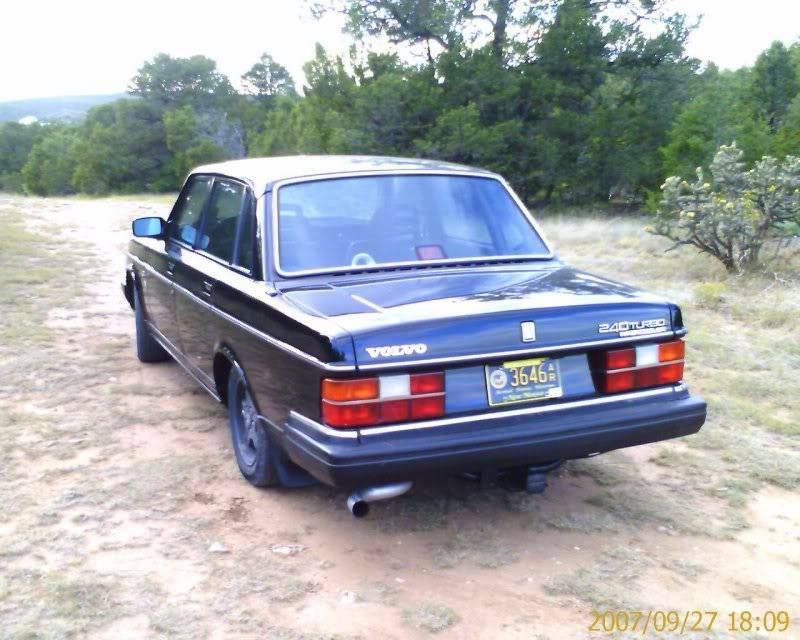 Flashback 3 years and I had recently purchased a 86 240 GL to replace my recently wrecked 240 wagon. It was a perfect 1 owner Southwest car with only 83K on the clock. Yes, a little old lady that kept in the garage owned it, dark gray with black leather seats, sunroof, cold air conditioning and good looking paint The car even had all the original paperwork from the dealer showing its installed options for a total price in 1986 of $19,550. Best of all it had been in Albuquerque since new and wait for it. No rust! Sorry Northeast guys. Initially the plan was to freshen the car up a little more with a lean towards the sporty. When a part was replaced I would raid the IPD catalog and find a more performance-oriented piece. By replacing worn suspension parts with new performance oriented parts and along with a good tune I hoped to end up with a nice cruiser/commuter for my wife and me. Well before the sway bars were even on my co-worker Jim decided to add a turbocharger to his 240 and the next thing I knew I was hit with the bug. One drive with Jim and I wanted to do that to my 240. The next mod that came along for Jim was a stand-alone engine management system and after a test-drive with him I wanted to do that also …. Wait, I’m getting head of myself here. Let’s go back to the beginning. Like I said my original intent was a little sportier version of a 240. 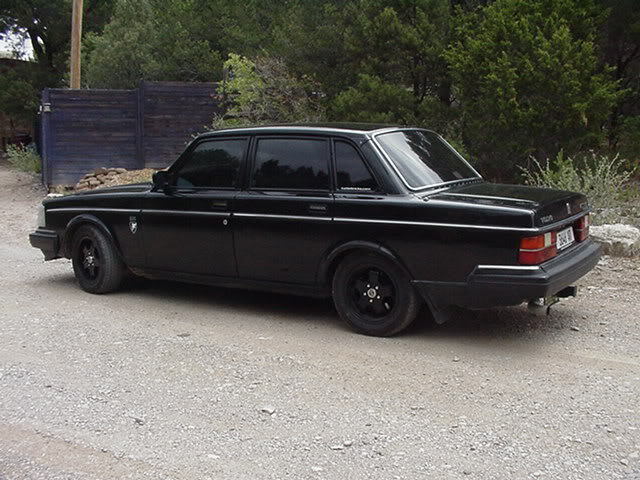 Volvo built a 242 GT and a 240 GLT back in the 70’s. 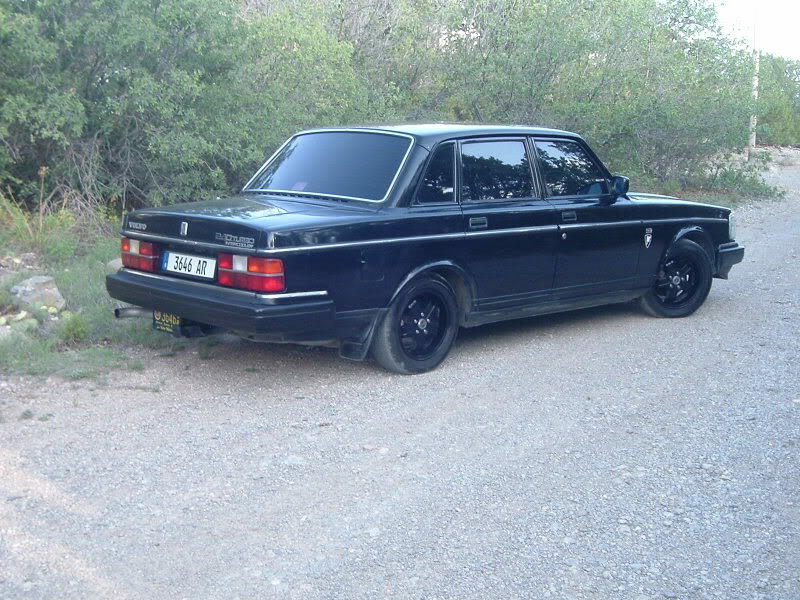 They were a performance-oriented version of the standard 200. Stiffer springs with a lower ride height, nicer wheels with wider tires and in some cases a turbocharger and an intercooler. 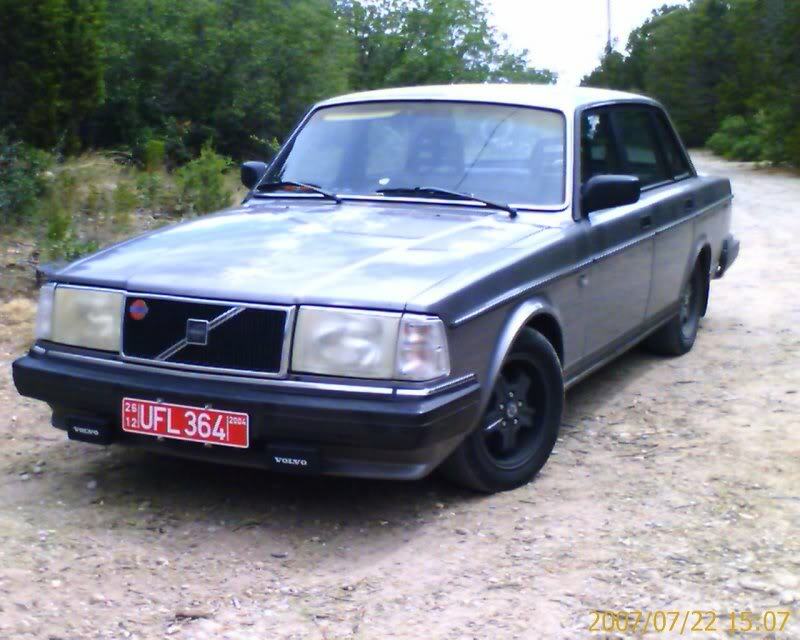 But Volvo abandoned the performance faithful at least if you wanted a 200 when they introduced the 700’s. 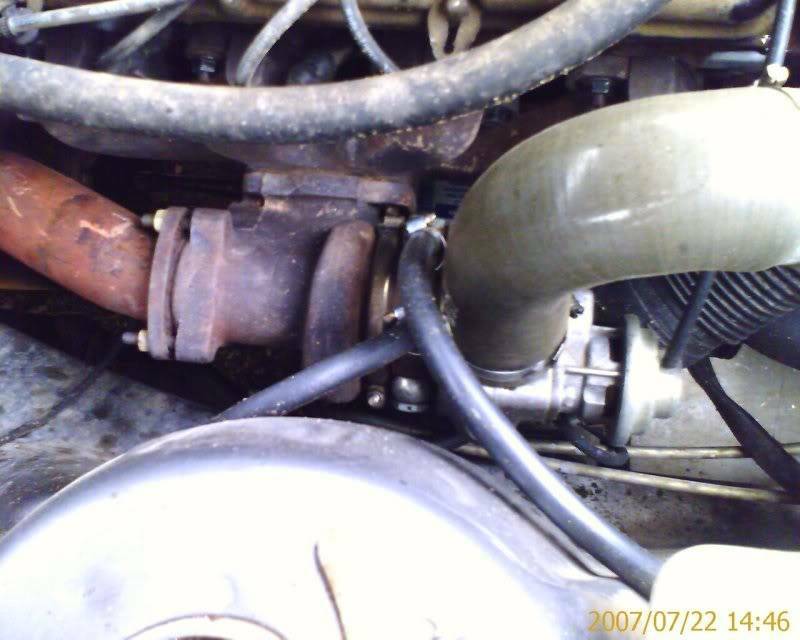 If you wanted a turbocharged 200 you had to make do with CIS mechanical injection and a B21. 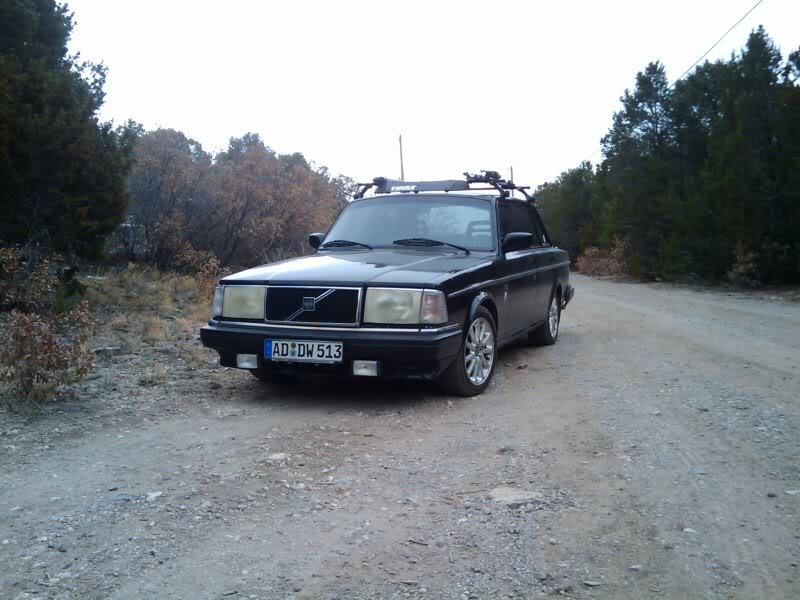 I always considered the CIS mechanical injection an ancient holdover from the Luftwaffe and I already had an almost perfect 2nd generation car so I decided to just work with what I had and make my 240 the GLT Volvo should have made. The base car was in pretty nice shape only needing a good service and a little clean up. 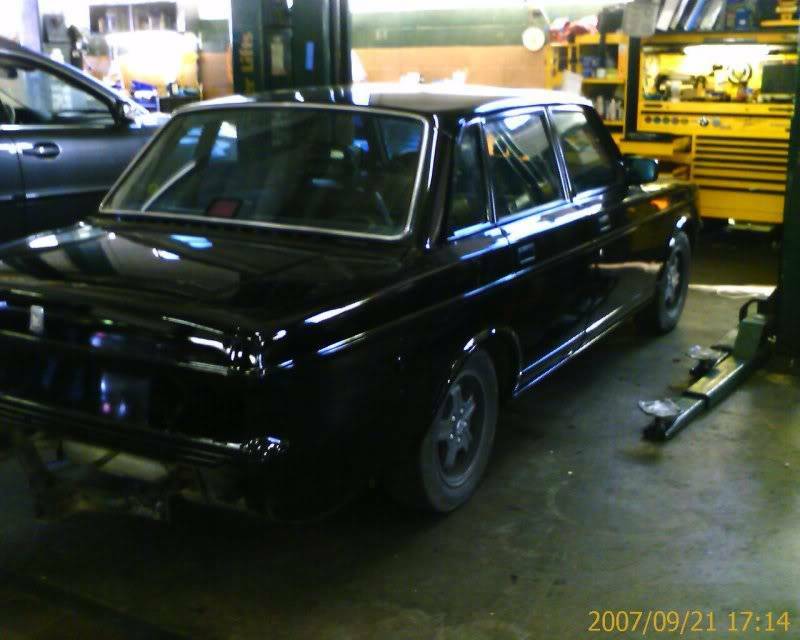 Before any type of performance project is undertaken the vehicle should be at what is considered Stage 0. That being good belts, hoses, brakes, new fluids, filters, plugs etc. So that you can be sure the vehicle is up to the strain that will be put on it so that’s what I worked on for the time being. That done it was time for the fun to begin. I began with advancing the cam timing a few degrees to bring the power band down into a more useable range. 115 Hp is adequate for a 240 but at a lofty 5400-rpm’s, it’s hardly around town driving speeds. Next, I removed the belt driven clutch fan in favor of a modified electric fan from a 2002 S80. Fortunately my replacement radiator had a thermostatic switch built into it and only minimal wiring was needed to set it up. What a difference. A belt driven fan can use upwards of 15 horsepower to operate and with only 115 to start with you want all you can get. It was like a new car but we are just getting started. Since the running portion of my project was set it was time to go for the suspension. Having never driven a new 240 I had no idea how well they would handle and since my suspension was almost 20 years old I figured any thing would be an improvement. I raided my handy IPD catalog and ordered up a set of their famous swaybars 25mm front and 23mm rears and along with a 2 ¼ cat back exhaust system figuring this was a good place to start. This helped a great deal but it still wasn’t enough. Back to the catalog and it was time for springs, struts and shocks to help compliment the sway bays and my newfound horsepower. A few weeks later when the time came to install the springs and shocks I found that the ball joints were a little worn along with the tie rod ends and the upper spring plates. Well its better to do it right the first time instead of taking all apart again, so back to parts book for another run. Along with the sport springs a nice upgrade are the adjustable torque rods and panhard rod. One to bring the differential back in to line and correct the pinion angle. Secondly the new parts have H/D polyurethane bushings to give better feel and hold up to the horsepower that was to come. So after a quick install and an alignment it was time to hit the road and give her a wheel. Man was I impressed. The car practically went around corners flat and with the lowering sport springs it looked so much better. The overall handling had improved 100% and wasn’t too harsh to live with on a daily basis. Firm and in control I was very happy…..until I drove Jim’s car. 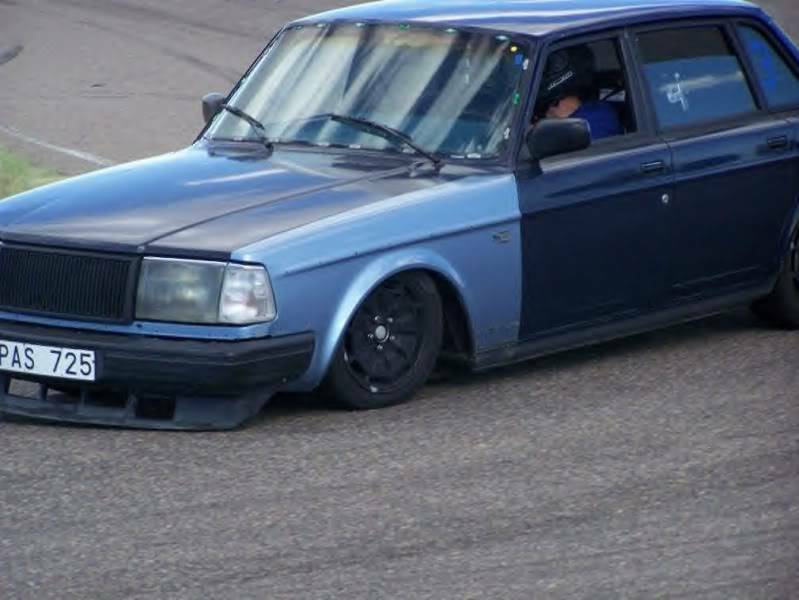 By this time in my project Jim had taken his 240 to a new level of performance that I had never seen or would have believed possible in a Volvo. Gone was the original 200,000+ mile engine as it had tossed a rod making a large hole in the side of his block. Gone was the replacement 700 series intercooler in favor of a HUGE NPR truck intercooler to match the equally large turbo. Gone was the Stock engine management LH 2.4 in favor of a hand built standalone Megasquirt ECU. 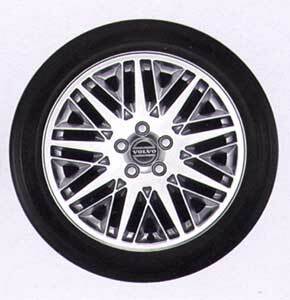 Also gone was the much abused Asin-Warner 5spd and in its place was a highly reinforced T-5. His 240 was faster than S60R’s in both handling, acceleration and had a top speed of over 150 mph. Here comes the project creep, I had to do this to my car, I had to. 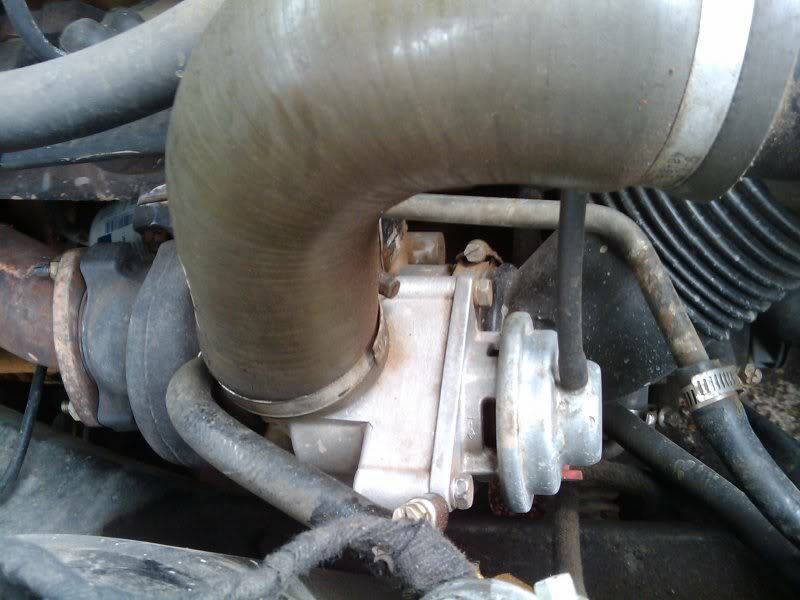 As we all know Volvo never put a turbocharger in the 2nd generation 200’s. Why? I can only assume as to not pull the spotlight from their new flagship the 760. 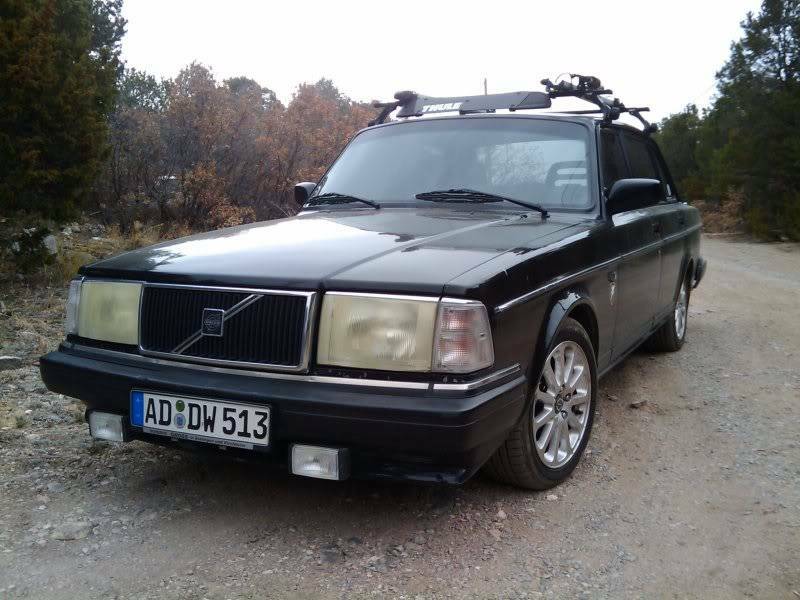 Since I had upgraded most of the major suspension components I though it was only logical to go to the next step and put on a turbo and make the car Volvo should have. Well a B230 is a B230 right? Well not quite. The turbocharged engines are quite a bit different though not physically but as they say “the devil is in the details”. The turbo engines have lower compression, higher flowing fuel pumps, injectors, a rising rate fuel pressure regulator along with a different ECU and an ignition system with a more sophisticated knock sensor and a radically milder advance curve to help keep the engine in one piece. Along with oil coolers, a higher flow exhaust and a vast assortment of other odds and ends to handle the extra horsepower. My plan is to perform what is called Plus-T, which is essentially adding on a turbocharger to a normally aspirated engine. Another option would be to swap a complete turbo engine from a 700 series car but very doable either way. Major project creep here. I chose the Plus-T since my engine was in such good shape. Since I am using all Volvo parts it’s for the most part a bolt on operation. But as was stated earlier in this kind of project “the devil is in the details”. 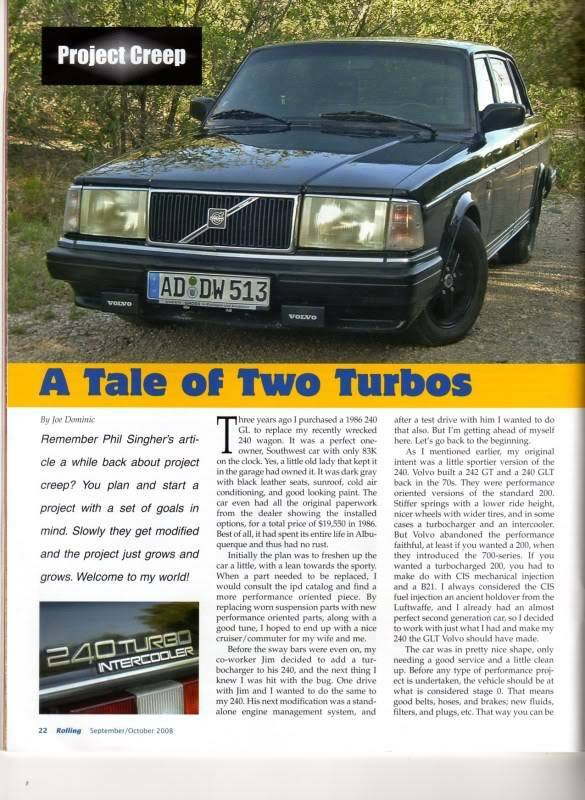 The turbo install is an article in and of itself so I will just continue with the project detail. I spent quite a bit of time gathering up all the needed bits and pieces required to do this so I would have as little downtime as possible. On a trip to the local junkyard almost everything I needed was found on a single vehicle making compatibility less of a chore. When the turbo was finally installed and the boost levels set to a conservative 5 lbs. the last thing was to drive the car to an exhaust shop to have the 700’s down pipe joined to my catalytic converter and IPD exhaust. When I picked the car up a few hours later and drove it for the first time, I was shocked and the grin on my face made it all worthwhile. That lasted about a month. 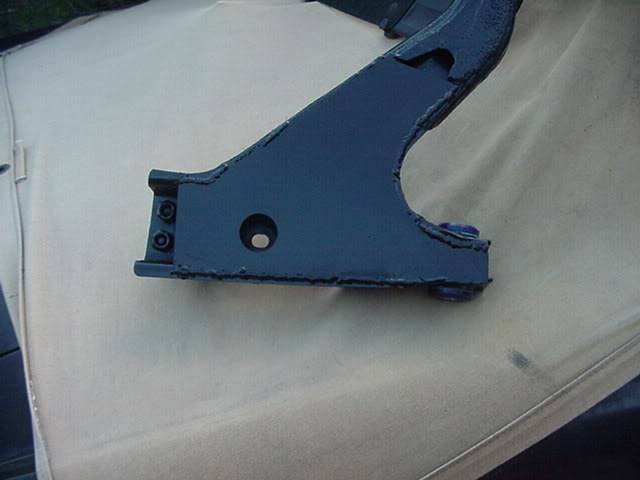 My car is a Southwest car meaning it is completely rust free, but the same dry air and sun that keeps the rust at bay is incredibly tough on the paint and trim. 80’s era Gray had enough issues without being burned off by the sun and it was time for paint. I completely stripped the trim, lights and bumpers off and sent the car out for paint. I decided to change colors and went with black, but being the Southwest and having a newly painted black car I needed to re-tint the windows to keep out the sun. Keeping with the black theme I went with a nice dark 15% all the way around. With the car and wheels painted black and with dark windows my 240 took on a whole new feel, it looked very “secret agent” as my wife would say. I thought it looked great. 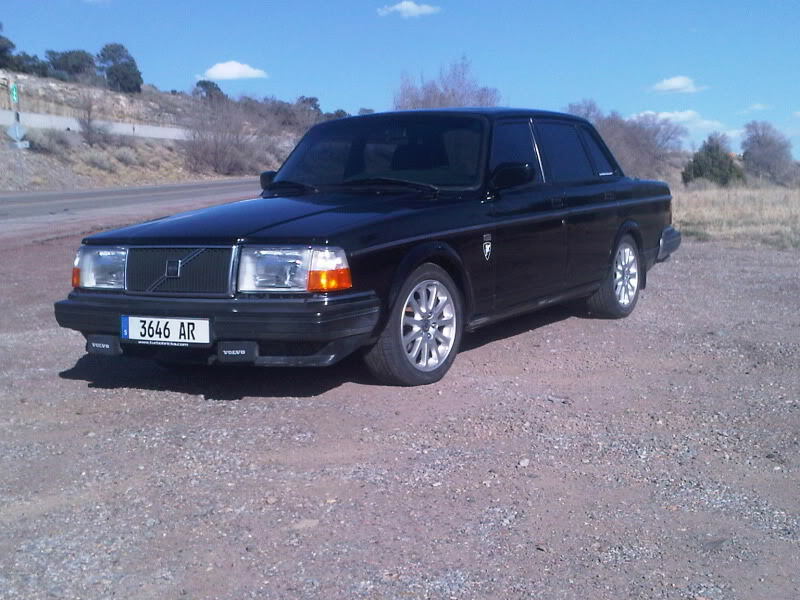 A few months later a hand-me-down from Jim arrived in the form of an upgraded turbo manifold and a turbo camshaft. 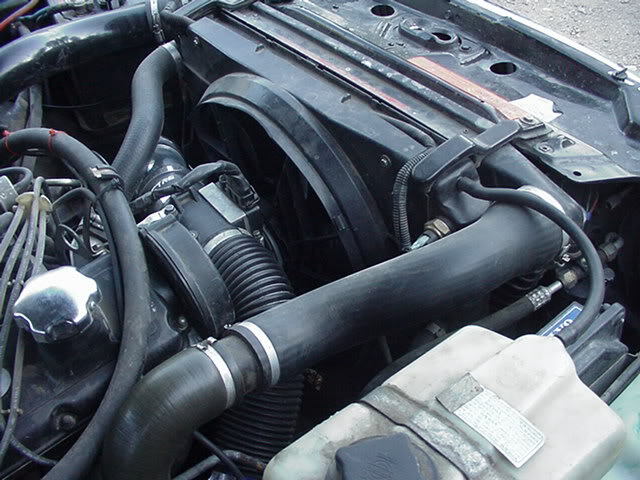 The manifold was what’s called a 90+ coming from a 1990 or newer 700/900 and is a better flowing tubular style manifold vs., the older block style along with a slightly larger Mitsubishi 13C turbo. 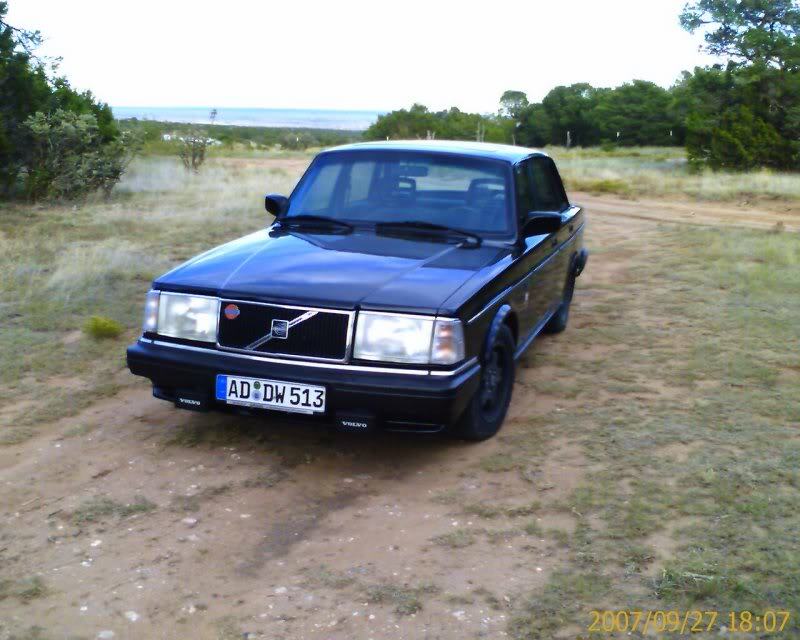 The camshaft was a Volvo camshaft designed for the turbocharged motors and helped the motor run better at higher rpms. Both were installed during a long lunch and I was up a running again in no time. Creeeeeeeeeeep….. Now the shortcoming was the tires. I had been running around on the stock Coronas with 185-70-14 snow tires….yes snow tires. I found a set of Volvo Turbo wheels Virgo’s, painted them to match the car and installed a set of 195-60-15 Falkens, again a vast improvement. Again all was well until Jim told me of an Auto-X track event that was coming up. 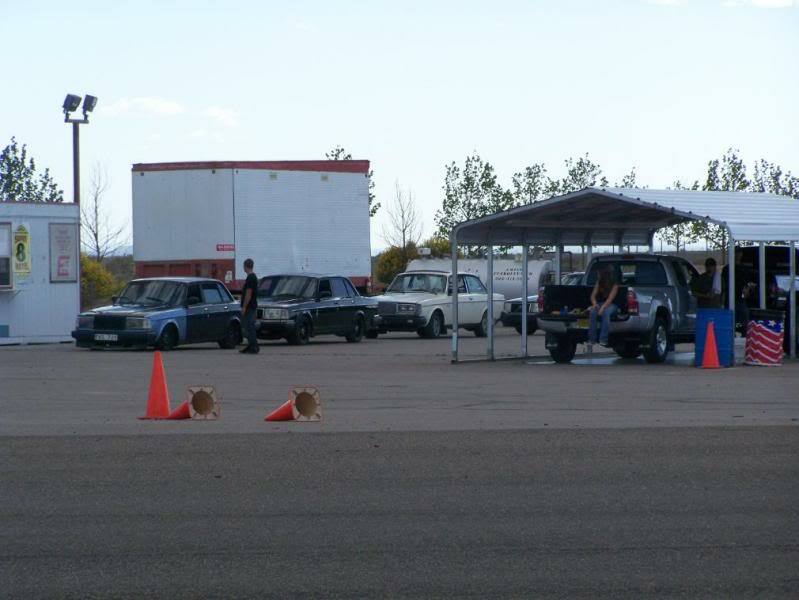 An Auto-X event is a combination road course with an autocross cone section in which you are timed through both sections separately. After driving the car this way for a while I felt the car need to be ready for this event to be competitive. I needed more boost. Creeeeeeeeep some more. I wanted to increase the boost levels for more horsepower but I was limited at this point by the stock ignition system. The Chrysler ignition was never intended to handle boost and the timing is too radical leading up to engine knock, which is very destructive. 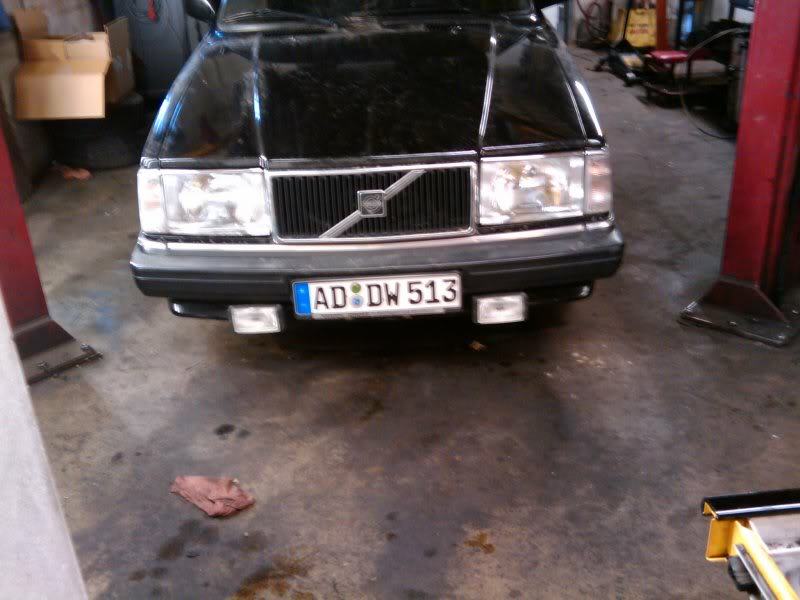 Secondly I felt I needed proper gauges beyond the coolant gauge and tachometer that Volvo supplied. Soooo lets get to work. 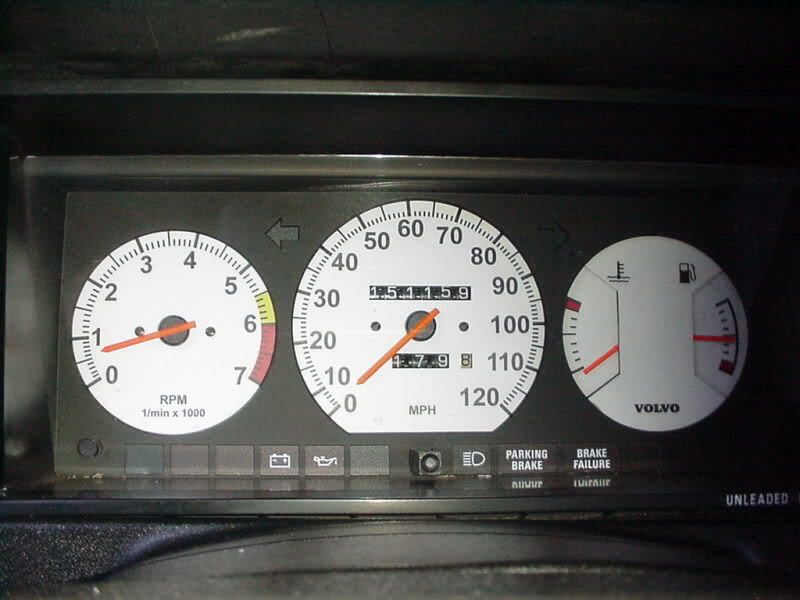 The gauges were a little easier since Volvo was kind enough to equip the older 240 turbo with them. 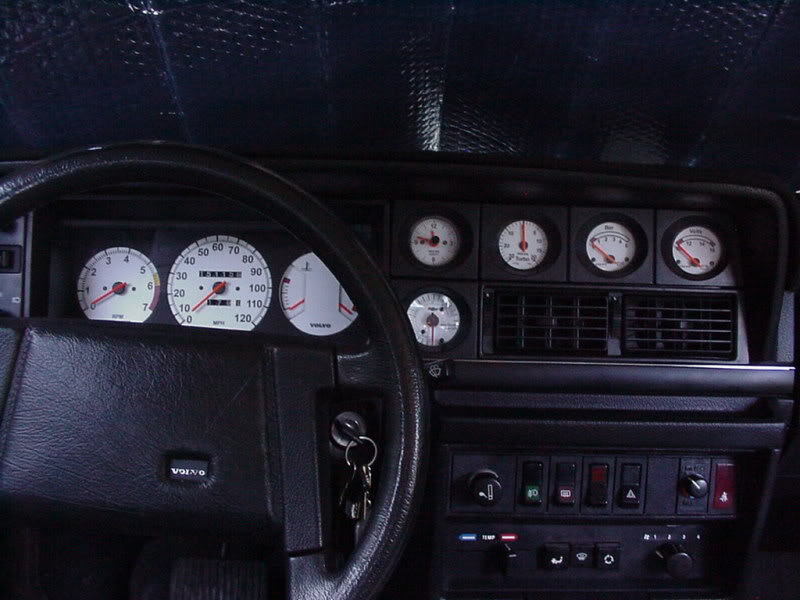 I acquired a set of gauges and they fit right into the upper dash space were the radio normally resides. I moved the radio to the lower cubby and wired in the new set. Not leaving well enough alone I wanted my gauges to look different, so a visit to www.davebarton.com I bought a complete set of white face gauge faces. 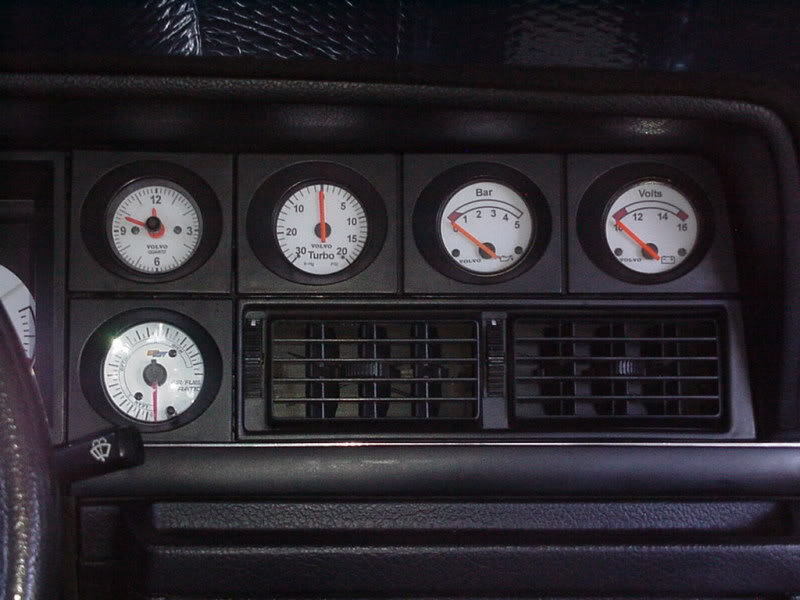 Dave is a great guy and custom made a set white faces for me and carried the theme from the main cluster to the new set, which included a “boost gauge”, a “5 bar oil pressure” and a “voltage gauge”. 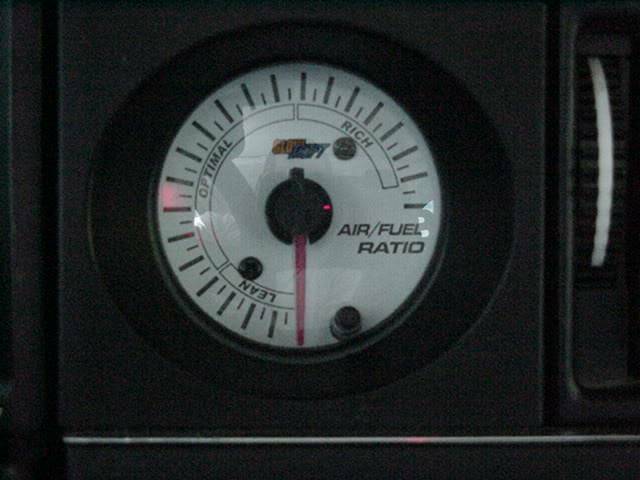 An aftermarket air-fuel ratio gauge was also added on to keep an eye on things. The next hurdle was the ignition system. 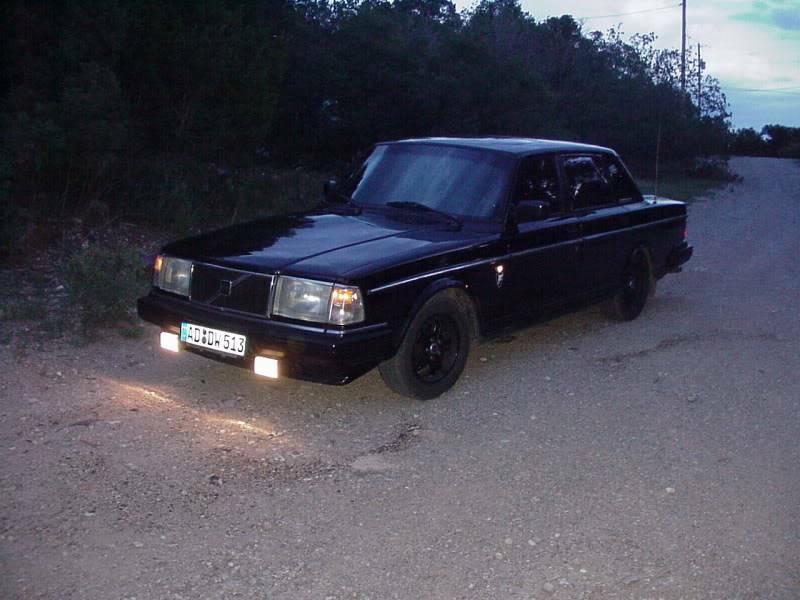 I could have gone with an MSD or Pertronix but sticking with the Volvo theme I went with Volvo’s EZK 116 right off a 87 740 turbo. The hardest part of this operation was actually cutting the EZK harness from the donor car and removing the EZK harness from the main engine loom. This looks daunting sine you start with just a double handful of wires and connectors but if you take you time and watch what you cut it’s a very straightforward operation and well worth the efforts. After installing the EZK and it was time to turn the boost up from 5 to 9 lbs. The increase was definitely noticeable though not as dramatic as I was hoping but I now felt I was ready for the track. I had another thing coming. The track event was incredible. 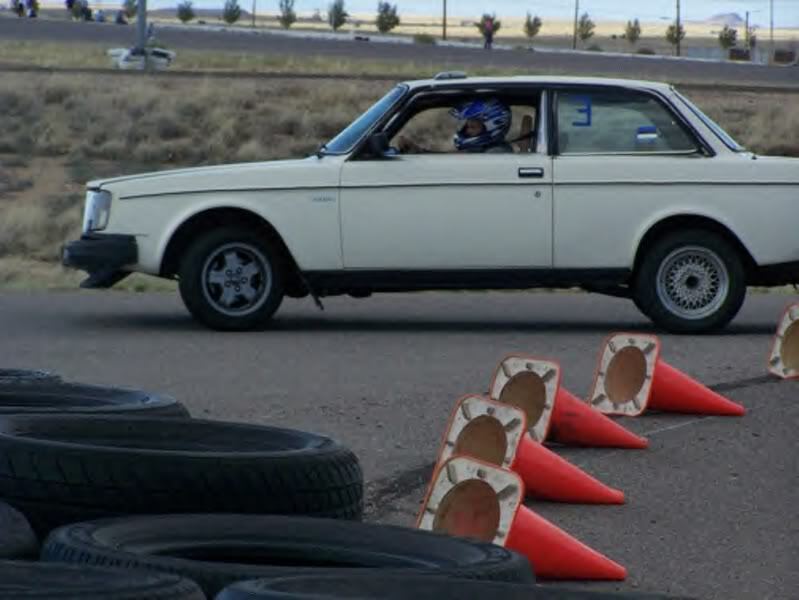 I wore 5000 miles off the life of my new tires in an afternoon and was grinning from ear to ear every time the tires squealed in protest on a hard corner or went up in smoke reentering the track course. Again Jim’s car was my nemesis lapping me in short order and riding my bumper until we reached the “passing zone” on the track and he left me behind. Yes, I had my work cut out for me. I grabbed my trusty IPD catalog and found the remainder of the polyurethane bushings for the front control arms and the rear trailing arms. Replacing these bushings is definitely not an easy task but in the long run I found it to be worth the efforts. The car is a far cry from the 240 I purchased almost 3 years ago. BUT , and you knew this was coming, there was still more to do. One thing Jim did that made one of the greatest improvements in performance was the replacement of the stock engine management and installing the standalone ECM. Megasquirt is a do it yourself ecu kit. It comes as a kit or fully built. Once it’s assembled the programming software is easily loaded on to a laptop and the unit can be programmed accordingly for your application. It’s fully customizable for a variety of different parameters, from 1 to 16 cylinders, dual injectors, DIS ignition and on and on. It can be setup to just handle the fuel computer or in Jim’s case fuel and spark via a MSD ignition system. Like I said it’s very impressive. 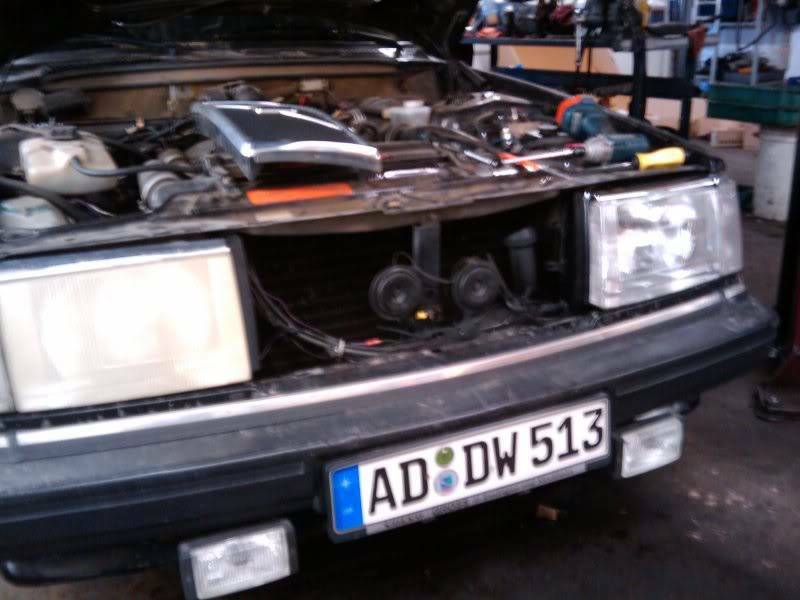 I had a choice to make I could remove my LH jetronic ECU and EZK Ignition system and install a Megasquirt system, which I really didn’t want to do. As complete as the system was I didn’t want any tradeoffs or compromises as my wife drove my car sometimes or I could leave the car alone and be happy with it. Well that’s not about to happen! I found another option. There is a company in Sweden called HiTuning-USA.com and they make replacement “chips” for your ECU and EZK modules for more performance. After getting in touch with Fredrick the online representative via the Turbobricks.com forums and reading the literature I was convinced this was the route to take. 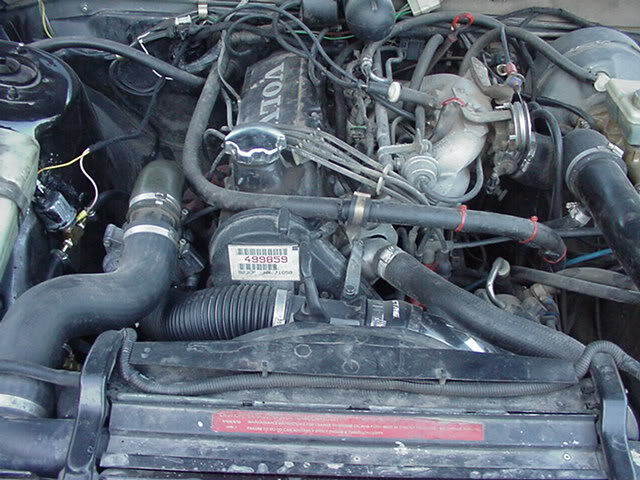 The stock B230FT was rated at 165 HP at 8 psi of boost. With the chip from Fred a standard turbo car would be at 220 HP at 14.5 psi of boost. The B230F+T that I was running should be good for 235 HP at 15 psi over double what the car came with from the factory. With the new “chip” in and everything dialed in the car is quite a shocker. It starts on the hottest or coldest days without issue and is actually quieter than a stock 240 it’s quite a sleeper. 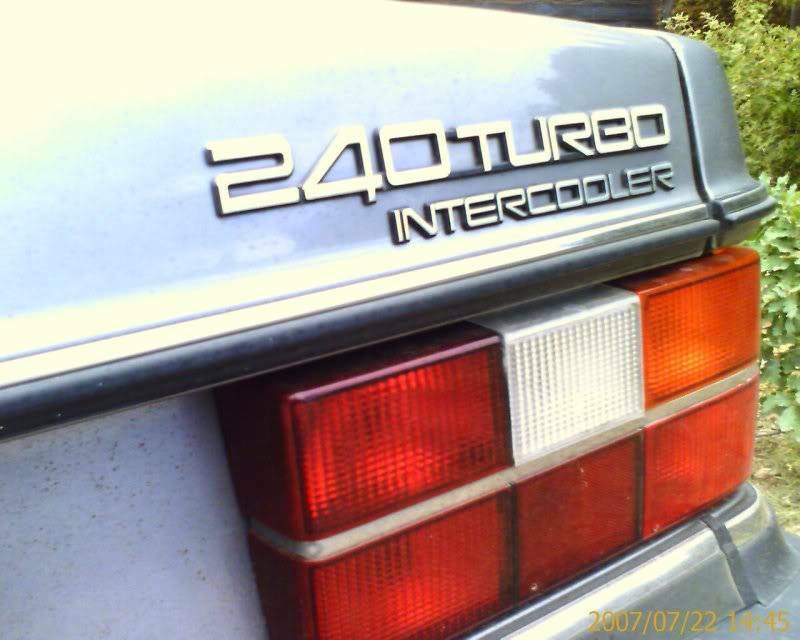 The only telltale sign that the car is not stock and just a slightly lower 240 with dark tint is a custom made 240Turbo emblem on the decklid. There is an open track day coming up soon and Jim is going to take his 240 for a few runs. I won’t be so easy to lap this time or maybe I can lap him. 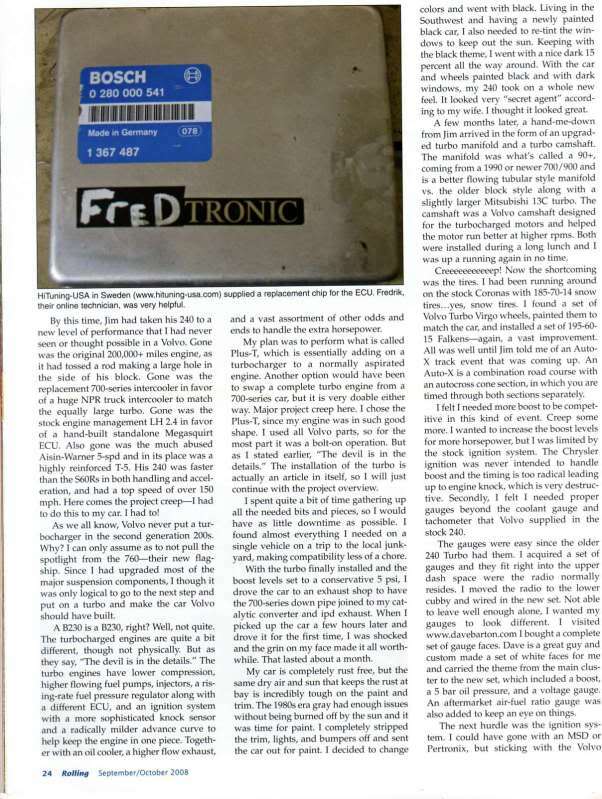 Here is the second article, I will add the scans as I have time to put them up. Tale of 2 turbos pt. 2 Creep some more. 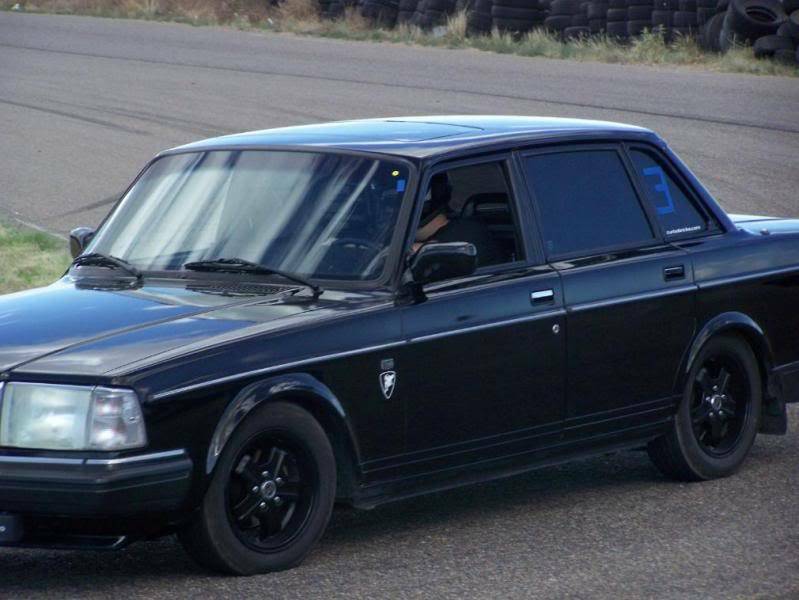 My original project goal was to build a nice all around driver that would be a fun and capable track car to give my friend Jim and his highly hotrodded 242 a run for the money. For the most part I felt that I succeeded in that objective. The car was quick, handled well and was nice just to drive around town in. Well that was the plan, but even the best plans can have a way of getting sidetracked. Usually these things happen by way of an upgrade or two but upgrades can find a way of jumping up and slapping you by way of necessity. Since the last time I wrote about my project a few things have happened. Jim’s amazing 242 had an engine failure and my highly stressed AW70 automatic failed, so consequently we never had the match up that was intended at the track. This falls right in line with the modders credo. Build-Break-Repeat. Jim wasn’t happy with the ability of his Garret Turbo to supply a sufficient level of boost so install a HUGE Holset hx35 from a dump truck. 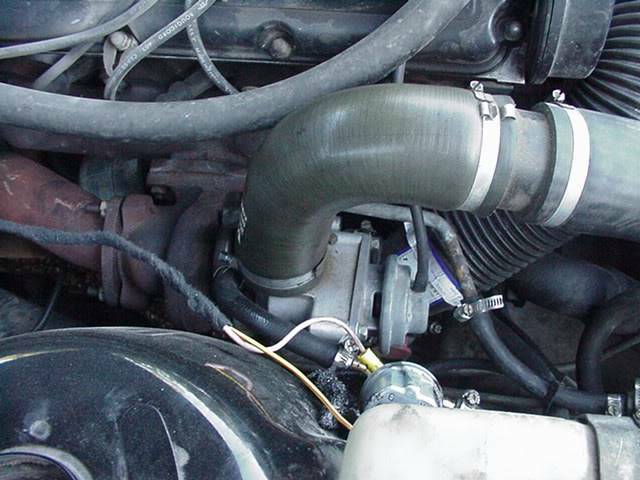 The Holset was designed for engines in the 5.0-6.5 liter range double to triple the displacement of the humble B230. Jim was running 25 lbs. of boost, which at his current build level should have been more than adequate. Unfortunately a minor miscalculation in ignition timing caused a major meltdown in his engine and our chance of a track meet was over before it really began. My car lasted a bit longer, but when my transmission started refusing to drop back into 1st when I came to a stop and wouldn’t upshift when it was cold in the morning, I knew the end was near. The AW-70 transmission that was installed in my 240 would have happily lived there for well over 250,000 miles or more with reasonable care and up until I had installed the turbo had never had a single issue. By doubling the horsepower and driving it quite a bit harder, for the most part it didn’t stand a chance. So early one morning on my way to work it started to shudder and when I tried to leave from the stoplight instead of a nice smooth pull away I heard a rev on the engine and a felt a slooowww slush across the street. Game over. I limped the car home and started looking at my options. I had a couple of choices. I could replace it with another AW-70 which are plentiful in the yards or rebuild mine, but I saw little point in that since I knew it just wouldn’t hold up. I could find an AW-71, which was a stronger version of the 70 that Volvo put in the Turbo cars. This seemed to be a good option as it was a direct bolt in and many turbobricks.com members had successfully performed with great results. A few minor upgrades along with a rebuild and I could have a solid and good performing transmission that would hold up to the abuse, er spirited driving. Or I could skip the automatic all together and put in a manual. Both choices had their challenges and their advantages. I would have to rebuild the automatic but it would be a direct bolt it. 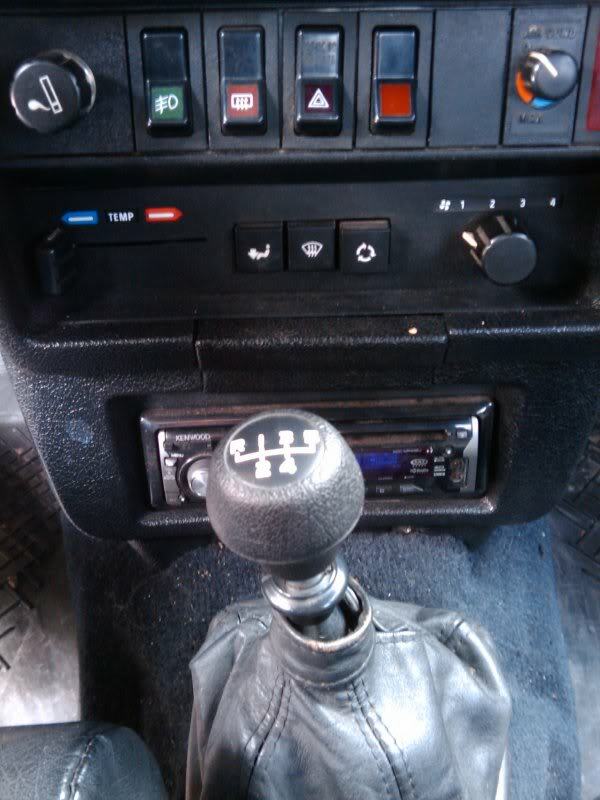 The manual is also a direct bolt in but I would have to install a clutch pedal and run a clutch cable for it to work. The auto is nice for commuting and works well enough for fun driving but I have to admit the lure of rowing the gears is something that I missed. So the auto is history and its time for a 5-spd. There are a few differences in the mounting of the 2 transmissions so finding a complete car to get the parts from is a good bonus. 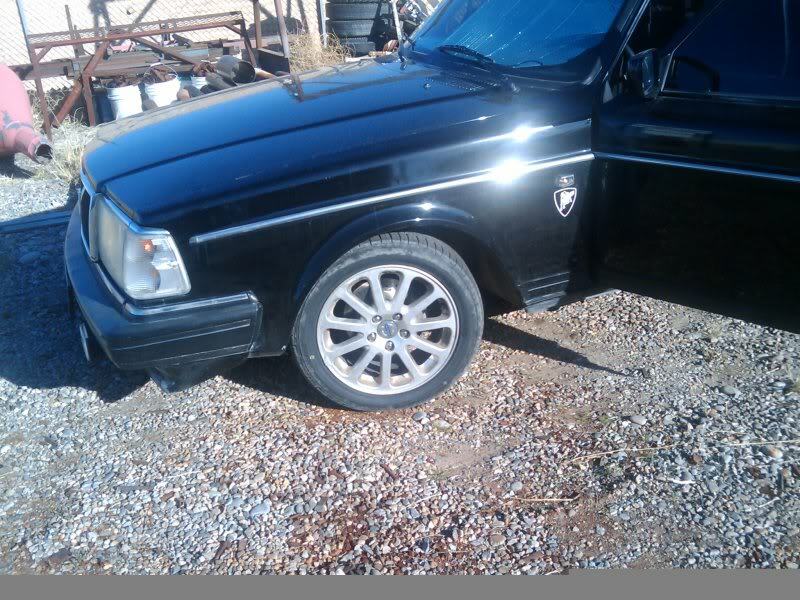 I work at Independent Volvo Service in Albuquerque, which has been repairing Volvo’s since 1983. Dave Lang the owner/boss of the shop, along with putting up with this kind of build-break-repeat nonsense that Jim and myself do, allowed me to strip the parts I needed from one of the many parts cars that we have sitting around for just such an occasion. 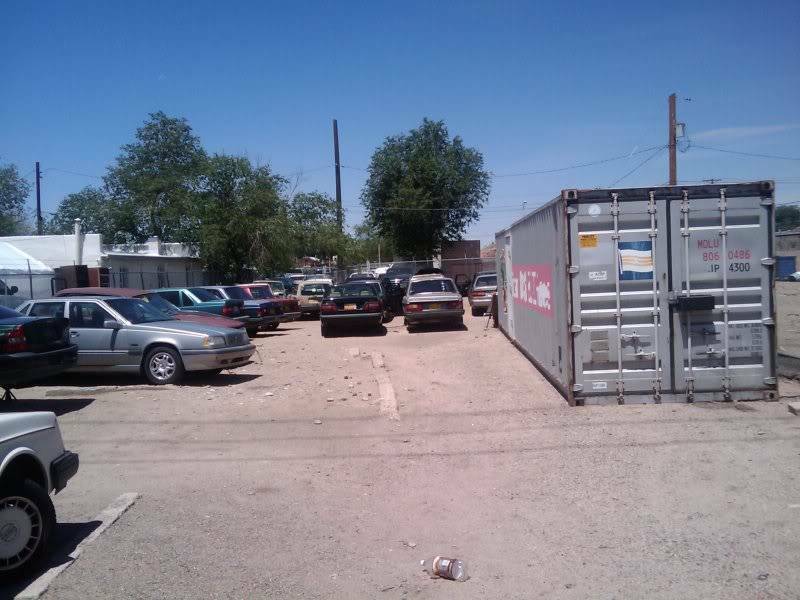 We happened to have the perfect donor, a 1989 240 wagon with a M47 5 speed that ran well but had been hit causing the owners to finally say their last good-byes and walk away from it. With the access to the donor vehicle and the parts department, I was able to pull this off rather easily as we had every nut and bolt needed down to the shifter bushings right on the shelves. Talk about a bonus. Volvo made a few different manuals for their cars. A M-45 4 speed, a M-46 4 speed with a solenoid actuated 5th gear and a M47, which was a true 5 speed. The M45 and M46 are considered stronger transmissions but I was happy about finding a M47 as I like the actual 5 speed and I didn’t have to run a harness to the shifter and relays for the solenoid. With a list of what was needed I was off the north lot with a box of tools and a jack to gather my parts. The under car work is straightforward, pull transmission, crossmember, driveshaft and flywheel. Once the M47 was cleaned and the driveshaft freshened up the install is just a parts changing exercise of removing the auto and reinstalling the manual. 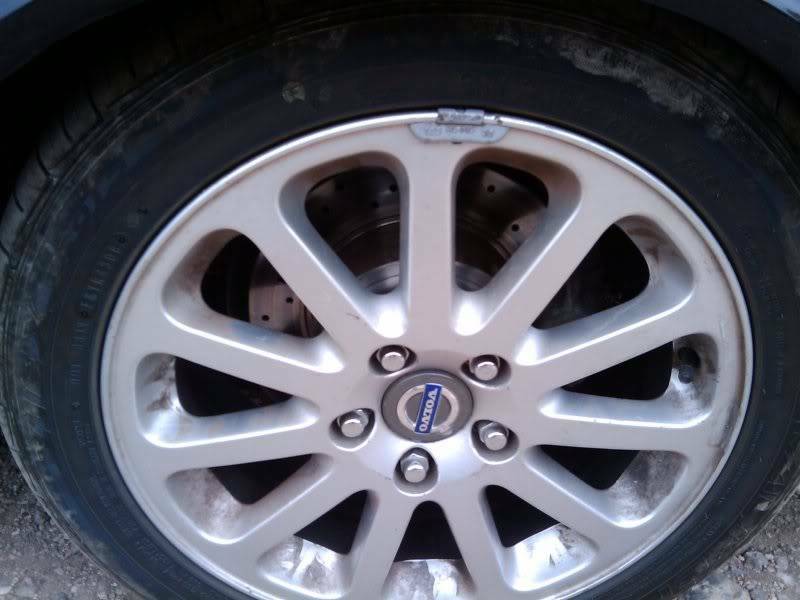 I was fortunate enough to have found a car with the stepped style flywheel and was able to use the heavy-duty turbo clutch and pressure plate hopefully giving me a fighting chance of getting the horsepower to the ground. In and out, end of story, with one exception. The automatic has a shifter box and a harness for the backup lights. The box has to go but the harness stays. I cut the harness and splice the wires for the neutral safety switch, spliced in the harness for the backup lights and then tucked it back under the carpet. The real effort of the project is the clutch pedal box assembly and clutch cable. The 240 has a removable firewall but the amount of effort to replace the firewall is extensive as the dash harness, steering column and heater lines run through this panel. I decided I was going to just drill a hole in my firewall plate for the clutch cable and bolt in the new pedal box. This is one of those projects that look worse than it is. With a little forethought and a couple of long extensions it’s not a bad job. Getting the pedal box out of the donor car was easy since a lot of the interior components had been stripped out for other uses but it still didn’t look as bad as I thought. I removed the instrument cluster and the lower covers under the steering wheel for access to the bolts holding the box in place. I unbolted the brake booster, brake linkage and the gas pedal along with the cruise control servo and believe it or not that’s about 90% of all there is. 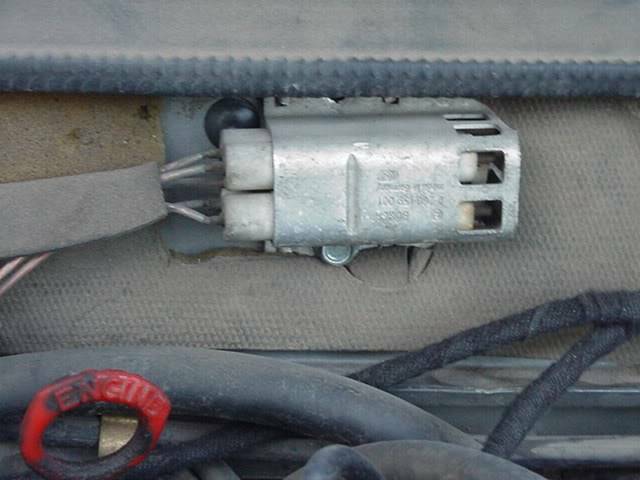 There are 2 more bolts that attach the box to the upper firewall and the auto pedal box just rotates out of the car. In the engine compartment I found it easier to just unbolt the brake master cylinder from the booster and pull the booster out of the car completely as the booster linkage interferes with the new pedal box when its going back in. Before putting the pedal box back in and with the booster out of the way it’s a good time to drill the hole for the clutch cable. This is one of those times where it’s best to measure twice, drill once and have a good drill bit. In this case a stepped drill bit is worth the investment. Once the pilot was drilled the stepped bit took over and step, step, step, done. Back inside the pedal box bolts right up to original holes with a predrilled and tapped hole for the clutch pedal portion support, thank you Volvo. Hook up the clutch cable, reinstall the booster, the cruise servo, lower cover and finally the instrument cluster. Finished, well not quite. After 350,000 plus miles the shifter needs a little attention. There are 2 plastic cups and 2 rubber bushings that the shifter rides in the mount on. Taking the time to replace these is well worth the effort giving you that like new vs. stick in the mud feel from the old parts. With a good rubber shift boot and the add on of an original black leather shifter boot, new shift knob and shift pattern insert the car looks just like Volvo would have intended. So what do I feel about the swap now that its over? At times I want to reach for a gear that’s not there since 75 mph is running at about 3100 rpms and it sounds louder but I’m sure I will get used to it. The car is extremely responsive and is very fun to drive. There is power on tap right from the start and as an added bonus my fuel mileage has gone up about 1mpg. I would highly recommend this especially if your transmission is already failing. Now I’ve been told the M47 won’t hold up and with over 250,000 miles on it before I started abusing it I don’t doubt it. The hard work is done and I’m sure I can find a fresher one down the road. Ok enough about my car. Let me introduce the competition or at least offer a glimpse of what Jim is working on until we can get a full write up with pictures in. 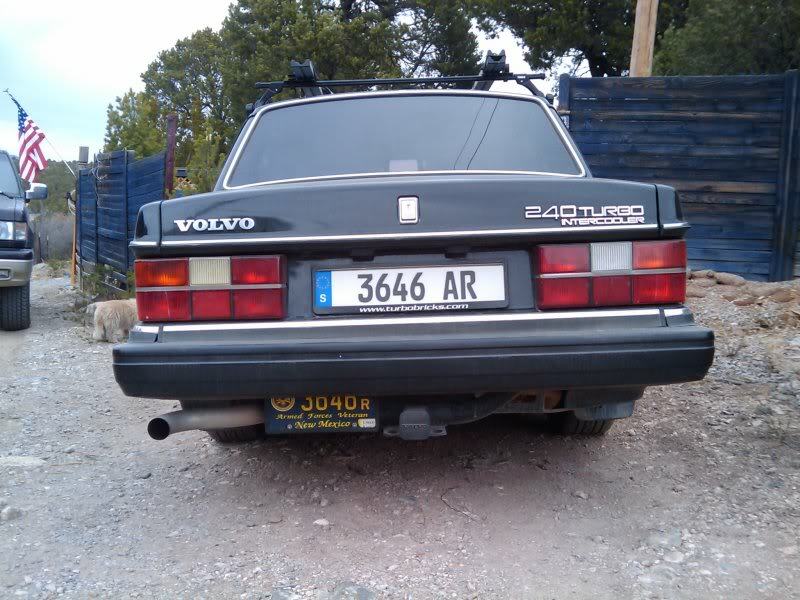 Jim is taking a slightly different approach to his Volvo. Where as mine is essentially a GT car that will do ok on the track, his is a track car that can run on the street. It’s somewhat like comparing apples and oranges but it’s what we have to play with. Like I said his car is more track vs. street so all the niceties/luxury items are gone. 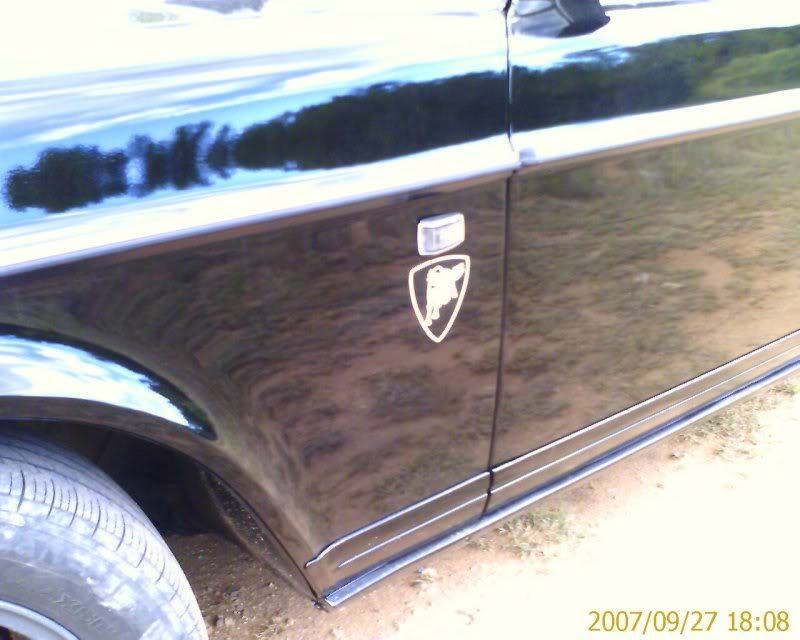 A/C, power steering, leather seats ect. In its place is a gutted dashboard, a racing seat, a hand built ECU with custom programming and a turbo that’s large and loud enough to frighten small children. For the most part the car will be just a shell of a 240, a thinly disguised racecar with a hint of an exhaust system and just enough lighting to keep the police from pulling him over every other block. Honestly, it has me worried. 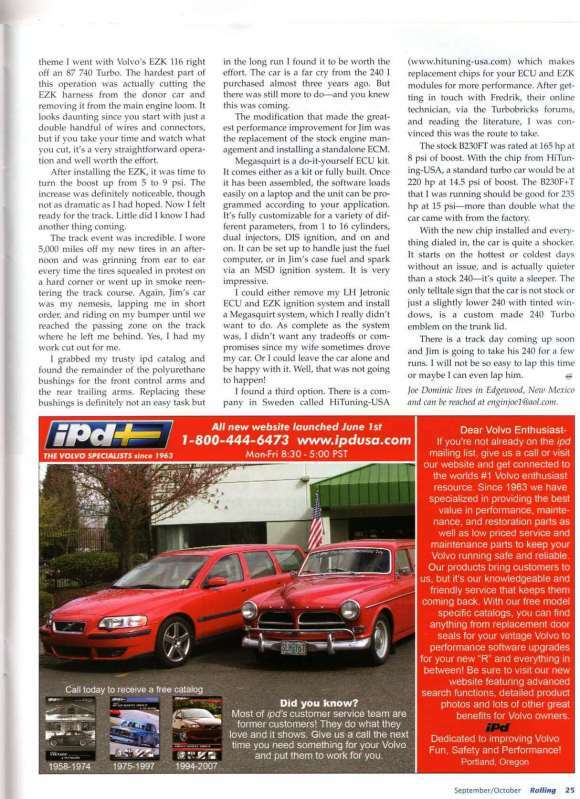 At the time of this article Jim is in the process of rebuilding a new engine for his 242 and when the time comes I am sure I will appreciate the gearing if I have any hope of keeping his monster turbo race 242 off my tail next spring. If I loose to him…. Well, there is always a bigger intercooler, larger injectors or a new …… creeeeeep I can see it now. I like the look of that glow shift thing. Wow! Homie's tuckin some Uglies...right on! Everybody likes that pic. The car was a beast then, Its absolutely brutal now. And its just as ugly. So, M47 at 14.5 PSI. I'm disappointed you experienced +1mpg. But am looking forward to the gear ratio aspect of the conversion. I was running 17 psi. The first m47 I put in was free and had 350k on it. It was noisey in 3rd and 5th but it held up but thats why I replaced it. The 2nd one has had no issue so far and its been in a year. Subject: Re: Jeh's 240 Start to current.